What kind of music did Albert Einstein listen to? What kind of music does a dummy listen to? According to a clever Caltech grad student, Einstein would have Beethoven on his iPod while less intelligent people may be rocking out to Lil’ Wayne. Virgil Griffith recently looked at SAT scores and music preferences. He found that those with high SAT scores, an average of 1371, listen to Beethoven. Those with low SAT scores, an average of 889, listen to Young Weezy. What he found is smarties listen to bands like Radiohead, Sujifan Stevens, and Counting Crows. 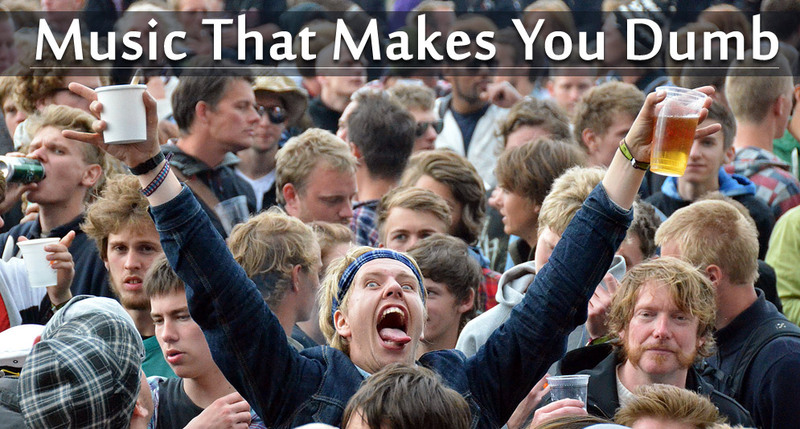 Mental midgets enjoy Beyoncé, T.I., and The Used. A retort many make after reading Griffith’s work is he’s found a correlation, not a causation. A correlation is when you observe a relationship between two variables that seems to be connected. A causation is when you find a direct relationship between two variables. Also, one must put faith in SAT scores as a true indicator of intelligence. You can make the case that an SAT score represents just one among many aspects of intelligence. Beethoven may be the soundtrack for intellectuals, but the same can’t be said of classical music. It’s in the middle of the pack. The genre favored by SAT whizzes is country. Jazz seems to be on the wrong end too. Returning to Griffith’s original question, and assuming SAT scores is a measure of brainpower, musical taste does say something about intelligence, but we didn’t need an analysis to tell us that. Smart people generally possess patience, attention to detail, and the appreciation of subtleties. Those traits typically gravitate toward works of art that are more complex, textured, and subtle—we’ve just described every Radiohead or Beatles album. Not-so-smart people generally have short attention spans, desire instant gratification, and need maximum stimulation. We’ve just described the music of Jay-Z, Nickelback, and Akon—all artists favored by students with average SAT scores below 1000. Perhaps the most famous example of music and intelligence is the so-called Mozart Effect. 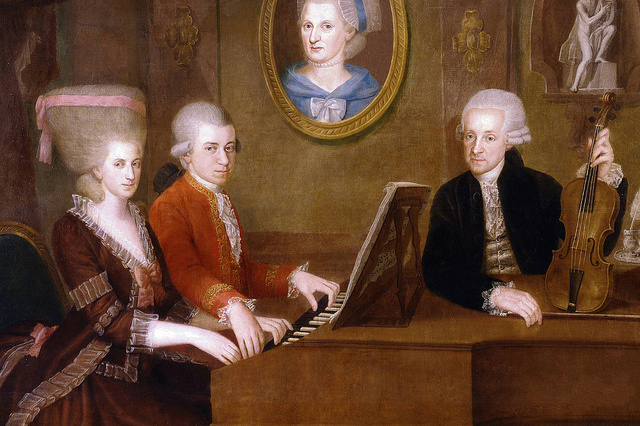 That phenomenon says one can improve their intelligence by listening to the music of Mozart. The Mozart Effect is certainly false. Scientists have been unable to consistently duplicate the results. Also, it’s unclear if his music increases intelligence or just improves one’s mood and alertness thus making it appear as if one has grown smarter. Even though his tongue was firmly planted in cheek, Griffith is not the first researcher to look at music and intelligence. For decades, scientists have seen a correlation between musical training and IQ. Recent research has shown that musical training can improve skills like memory, spatial learning, and language skills. For young people, musical training may prolong the development of the sections of the brain that handle auditory input. In other words, musical training can, for young people, help them learn a second language quicker than they would without it. There’s also research that says music training can increase brain volume. Of course, the above benefits are the results of musical training. Learning an instrument, and studying composition, has profound effects on the individual, especially if the individual is young and still developing. As for just listening to music, there’s no credible evidence that it improves intelligence. It may improve your mood, focus, or level of relaxation, but it won’t affect your IQ. So, go ahead and spin Aerosmith, Respighi, or anything in between. It probably won't make you any dumber (or smarter).